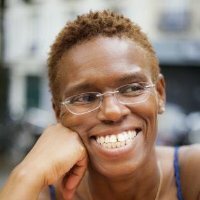 jeoma Uchegbu is Professor of Pharmaceutical Nanoscience within the UCL School of Pharmacy. She obtained her PhD from the School of Pharmacy in 1994 and was appointed to a lectureship in Drug Delivery in 1997 within the University of Strathclyde. She became a senior lecturer in 2000 and a Professor of Drug Delivery in 2002. She then joined the School of Pharmacy as a Professor of Pharmaceutical Nanoscience in 2006 and joined UCL in 2012. In 2010 Ijeoma became cofounder Chief Scientific Officer of Nanomerics Ltd, a specialty pharmaceutical company and spin out from UCL. Ijeoma has won numerous prizes for her work including the UK's Department of Business Innovation and Skills' Women of Outstanding Achievement Award in 2007 and the Royal Pharmaceutical Society's Pharmaceutical Scientist of the Year Award in 2012. Her research is based on fundamental physical chemistry principles to fabricate functional pharmaceutical nanoparticles - nanomedicines.